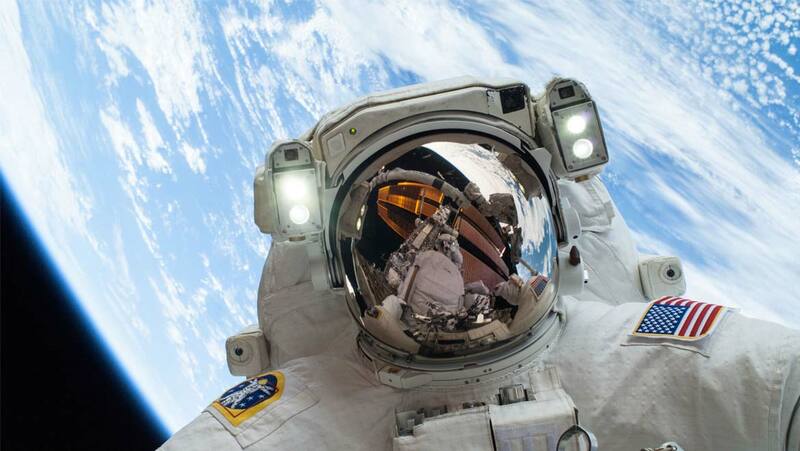 Being an astronaut is an occupation that requires top-class credentials, qualifications and experience. Despite the apparent prestige implied, people who achieve these positions must also be extremely dedicated and devoted to live as an astronaut in settings such as the ISS. It is a gruelling, un-glamourous job that carries risks such as exposure to abnormally high radiation levels, muscle loss and even possible height loss. These are the sacrifices expected for the ability to conduct research that can’t be done on Earth. However, a new study reports that there is yet another adverse effect to take into consideration when working in space, or preparing to do so. It has been found that astronauts experience core body temperature increases that may become dangerous over time. ‘Astronaut’ may sound like a dream job title for many. However, in reality, these space-scientists may endure cramped conditions, nasty food and discomfort related to low or controlled gravity, to say the least, while on missions in shuttles or on space stations. A new report, published in Scientific Reports, indicates that we can now add the problem of increased body temperature to the extensive list of factors which affect astronauts. This study, completed by a number of researchers from institutions in the Czech Republic, Germany, China, and the U.S., concludes that the average core body temperature (CBT) of astronauts increases by at least 1⁰C while in space. For people on Earth during winter, this may sound great. However, increased CBT is linked to adverse events such as cognitive impairments, increased bodily inflammation, which leads to an increased risk of discomfort or disease, as well as decreased physical performance. CBT in astronauts may increase due to low-gravity conditions aboard space-craft. Reduced gravity could well impair the body’s ability to balance the amount of heat in the body, as part of normal homeostasis, by releasing fluid in the form of sweat. These processes involve evaporation and convection, which do not function as normal in low gravity. Therefore, the astronauts are stuck with the excess body heat. The team of researchers found that the average CBT of 11 astronauts on ISS missions was increased by 1⁰C compared to measurements taken on Earth, even though the astronauts were not engaged in vigorous physical activity at the time. Conversely, exercise pushed the astronauts’ CBT up by about 1.4⁰C. Some of the astronauts recorded CBTs of approximately 40⁰C during sub-maximal exercise. These findings are worrying, even though none of the astronauts exhibited CBTs that are thought to be dangerously high. Temperatures of 42⁰C or higher are currently regarded as intolerable to the human brain, even for short time periods. This study may also raise concerns for astronauts embarking on the long-term space voyages envisioned as necessary to reach Mars. The researchers also noted that the CBT increases as observed in this study may persist for about 10 days after returning to Earth. Their findings are also worrying because exercise during space missions is also seen as necessary for astronaut health. Mid- to long-term stays aboard space craft are associated with the risks of muscle atrophy, which may lead to ill health and bone-density loss. Therefore, aerospace authorities may have to learn to balance the exercise needs of astronauts with conflicting needs to stay cool while in space. The inability to regulate CBT during space flight may imply other health concerns. CBT normally fluctuates slightly prior to and during sleep under normal conditions. This effect is thought to have a number of functions, one of which is to simply promote sleep, due to the fact that humans mostly prefer to sleep in very slightly cooler conditions. Therefore, the inability to alter CBT may lead to sleep disruption over time. In addition, researchers have found that the concentrations of interleukin-1 receptor antagonist (IL-1ra) are increased in the bodies of astronauts in short-term flights. IL-1ra is thought to play a role in localised inflammation, and is also associated with the down-regulation of CBT. The authors of the Science Reports study found that the IL-1ra levels in the astronauts increased significantly over time while on the ISS (up to 165 days on board). They also found that this was significantly (p = 0.003) associated with increases in CBT, with or without exercise. The CBT recordings in this study were taken by means of a non-invasive new sensor that attaches to the forehead during ISS stays. This sensor placement accounts for important factors such as skin perfusion and brain temperature. It should be noted that the brain needs to function at a slightly higher temperature than the rest of the body (about ~0.2 °C higher than the pulmonary artery, for example); however, CBT in this region is also a good indication of blood flow to the brain. On the other hand, stressful exercise increases the risk of heat strain to this organ. The circulatory system may be particularly important for astronauts in space, as radiative heat loss, or the simple loss of heat energy from the body, depends on the dilation of peripheral blood vessels. This new study on the effects of space flight on human astronauts indicates that CBT is harder to control in space. The CBT values of the 11 astronauts, who remained in space for up to 165 days, did not reach thresholds thought to be neurologically dangerous. Nevertheless, prolonged CBT increases are thought to be related to increased risks of effects such as decreased cognitive performance and increased systemic inflammation. This study also found that the astronauts also exhibited elevated IL-1ra, which was correlated to the changes in CBT. IL-1ra levels are thought to play a role in temperature homeostasis, and may also affect the cytokine signalling system. This research also supported prior findings based on the study of CBT and IL-1ra in astronauts on missions of shorter durations. Therefore, it may be said that space travel now has yet another new drawback. National and corporate bodies involved in upcoming space missions may now have to adapt to this new environmental need of future crew members.